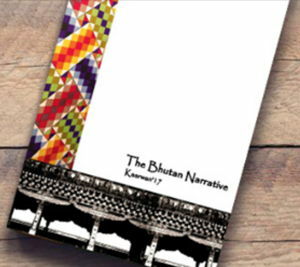 The Bhutan Narrative is an insightful glance into the experience of the group during Purvai'17. The journal is replete with various encounters which the group had while traveling in India and Bhutan. Encompassing the vivid epiphanies absorbed while visiting a wide gamut of places, it brushes through the highlights of each place. The journal strives to engage the "eh-saas" in its script hoping to be constructive in having a dialogue with all yearning to unearth new meaningful journeys.